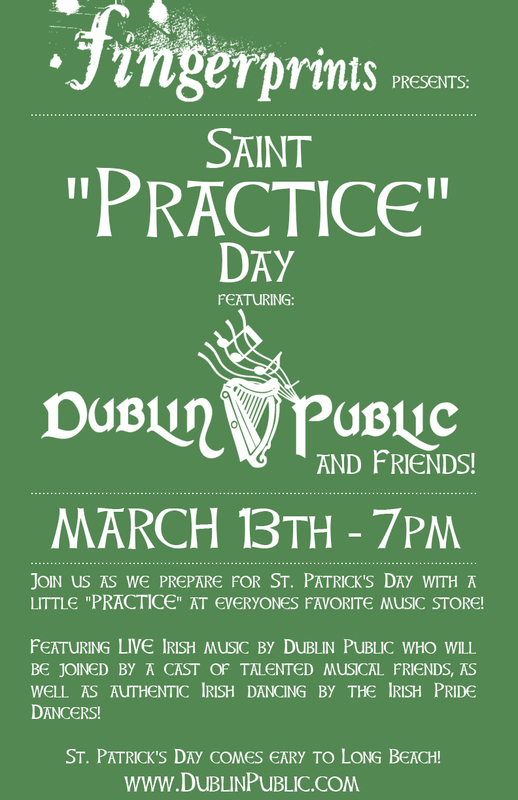 St. Patrick’s Day is almost upon us and we are celebrating early! The Road to St. Patrick’s Day consists of some great shows leading up to the big day and some great ones later this month as well. We started things off with a bawdy show at The Shamrock in Murrieta and continue down the road to play back-to-back shows at Muldoon’s on Friday, March 8th and then our first time at Gallagher’s Pub in Long Beach on Saturday, March 9th. Leading into St. Patrick’s Day weekend we have a special in-store performance at Fingerprints music store on Wednesday, March 13th. This will be a special show with some great surprises so bring the family and start the celebration early. 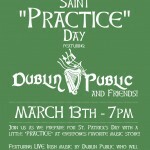 There will be Guinness specials, giveaways, traditional food, and good times! 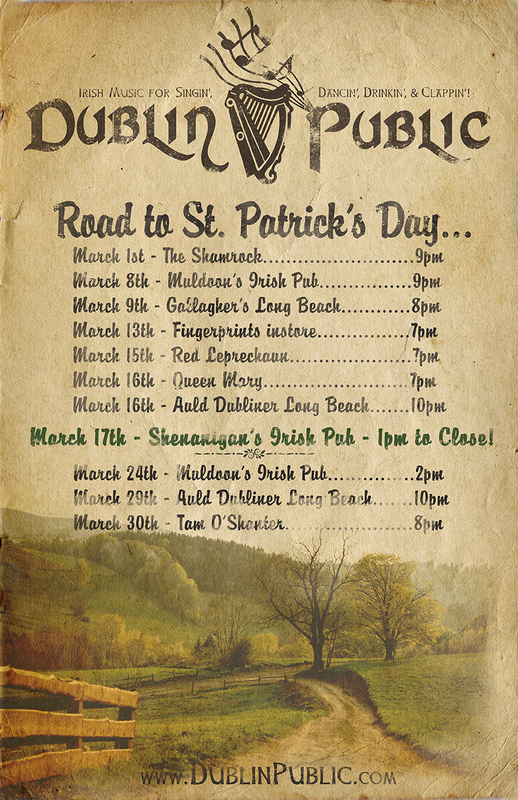 We play all St. Patrick’s Day weekend starting Friday at the Red Leprechaun starting at 7pm then Saturday, March 16th we make a stop aboard the Queen Mary for the Shamrock & Roll show kicking things off from 7pm-8pm then we skip across the pond to finish the night out at the Auld Dubliner at 10pm. 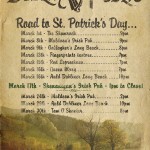 On St. Patrick’s Day we will be setting up shop at one of our very favorite places to play; Shenanigan’s Irish Pub! We will be there starting at 2pm and play 2 full 4 hour sets keeping the craic going ALL DAY AND ALL NIGHT! To round out the month we play shows at Muldoon’s on March 24th, The Auld Dubliner on March 29th, and the Tam O’Shanter March 30th!